James Russell Sayre, 65, 11533 Co. Rd. 25-A, Sidney, Ohio died at the James Cancer Center, Columbus, Ohio on Sunday, April 30, 2006 at 5:30 PM after an extended illness. He was born February 27, 1941 on the family farm in Swanders, Ohio, the son of Russell and Mary Louise (Swander) Sayre. They are deceased. He was married August 10, 1963 to Karen Stanfield and she survives along with three children, Russell S. Sayre and his wife Sandy of Mariemont, Ohio; Mary E. Furgeson and husband Tom of Laramie, Wyoming and Kathryn A. Phillippi and husband David of Beaufort, South Carolina; seven grandchildren, James Sayre, William Sayre, Ellen Sayre, Charles Furgeson, Lucinda Furgeson, Autumn Phillippi, and Dylan Phillippi; two sisters, Ann Fazzini and husband Phillip of Hamilton, Ohio and Mary Jane Stickley of Alexandria, Virginia and the late Thomas Stickley. He was a 1959 graduate of Anna High School and a graduate of Ohio State University with a Bachelor&#39;s Degree in agreiculture and economics. He was retired from the United State Department of Agriculture in Washington, D.C. retiring in 1993. It was editing and publishing agriculture-related information that Sayre did during his work with the USDA. 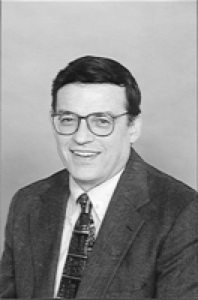 Sayre retired as chief of the Economic Research Service, a division of USDA. In his work, Sayre edited and published reports from economists and sociologists which deal with agriculture. Those reports focused on such issues as commodities, rural development, overseas markets and conservation. Many times the reports were compiled for elected officials and staff in Congress. Sayre started his work with the USDA as a summer intern in 1962 with the Farmers Home Administration. Following graduation from Ohio State University, he worked 1 1/2 years for the federal extension service. Then he joined the International Agricultural Development Service, which sent experts abroad to help developing countries with agriculture, and allowed foreign students to come here. Sayre worked for the service out of Washington. He moved to the Economic Research Service afterwards. The Shelby County Historical Society honored Jim as the 2005 local citizen award for making outstanding contributions to preserve local history. He served on the 1997 Shelby County Historical Society Board of Trustees as secretary. In 1998, the society hired him as its part-time director, a post he held until June, 2000, when Tilda Phlipot became director. Sayre was membership chairman and editor of &quot;Historical Highlights,&quot; the society&#39;s newsletter., beginning April 1, 1998, until August 1, 2005. He received the Ohio Association of Historical Societies and Museums 2002 Outstanding Achievement Award during a special ceremony in Columbus. Another aspect of his dedicated and faithful service in the field of history has been six years of writing &quot;Out of the Past,&quot; a popular column in the Sidney Daily News. He formerly worked for the Amos Memorial Public Library. He wrote press releases for the Sunset Kiwanis Club and feature articles for the Sidney Daily News. He was member of the Shelby County Genealogical Society and the Shelby County Farm Bureau. Funeral services will be held on Friday, May 5, 2006 at 10:30 AM at St. Jacob&#39;s Lutheran Church, Anna, Ohio with Rev. Michael Althauser. Burial will be at Pearl Cemetery, Swanders, Ohio. Friends may call at Salm-McGill and Tangeman Funeral Home on Thursday, May 4, 2006 from 4-8 PM. Memorial contributions may be made to the Amos Memorial Public Library, 230 E. North St., Sidney, Ohio 45365 or St. Jacob&#39;s Lutheran Church, 101 W. Main St., Anna, Ohio 45302.